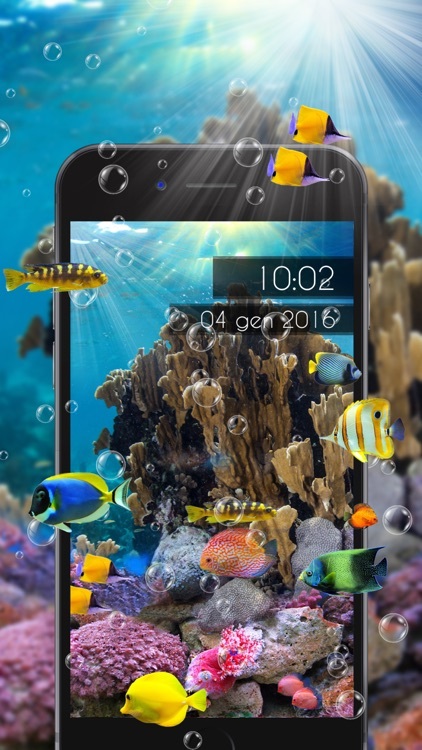 Amazing Aquarium Clock Lite gives you a colorful scene with a useful clock built right in. 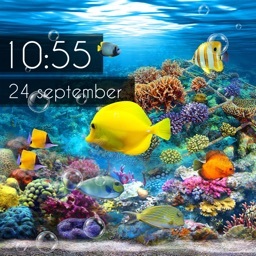 Swipe to select the coral reef you want to view and just glance up to see the time and date. You can enable or disable the 24-hour clock and purchase the full version for more backgrounds and to remove the ads. 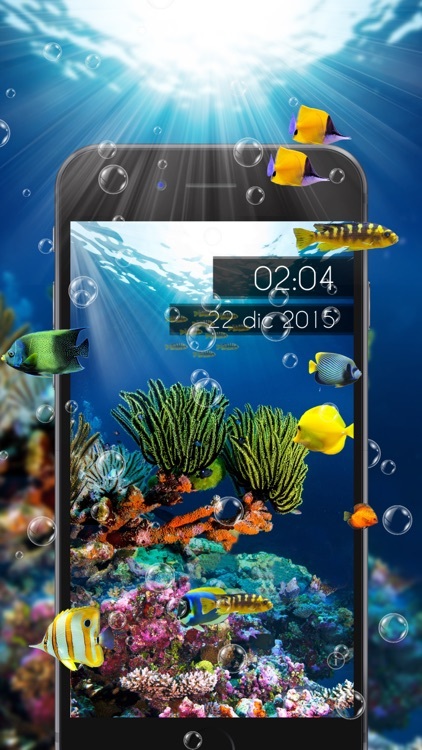 If you like the idea of a clock with your aquarium scene, for a dual-purpose experience, check out Amazing Aquarium Clock Lite. 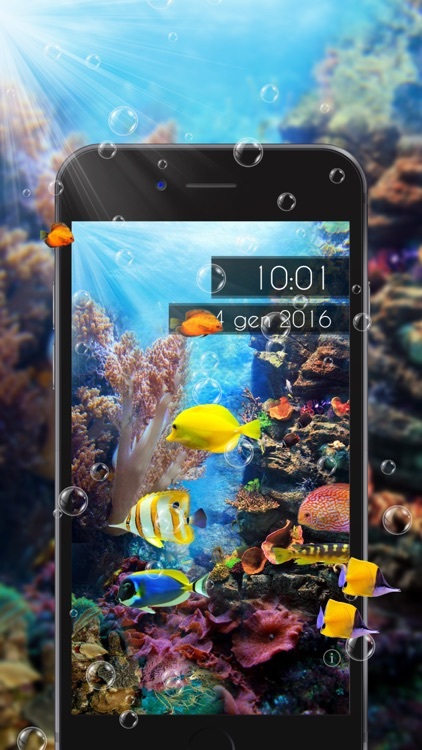 The Amazing Aquarium Clock LITE has been COMPLETELY redesigned for the biggest screen of the iPhone 6 and iPhone 6 Plus with brand new FANSTASTIC tropical underwater backgrounds, beautiful high resolution fishes and bubbles! Animation are now more smooth and fluid and the raylights along with the bubbles are going to create a fantastic atmosphere on your screen. 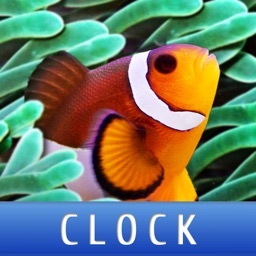 The Amazing Aquarium Clock LITE is the new companion for your desktop when you iPhone is on the cradle. The Amazing Aquarium Clock is basically a clock with an ANIMATED wallpaper. It includes 4 (7 in the full version with no ads) different breathtaking Coral Reefs colorful backgrounds and many Tropical Fishes Animated! Relax your self during the working hours with an animated Clock with a lot of amazing swimming fishes! 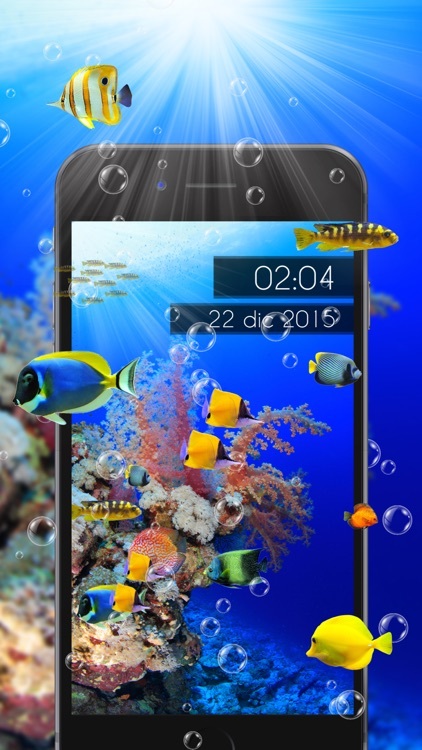 This app provide a tropical Coral reef background with a lot of swimming fishes and a clock with the current hour and date in the top part of the screen.You can change corals simply with a finger scroll on the screen and remove/replace the clock with one click or by shacking your iPhone. - Add/Remove Clock in every View with one click on the clock display. - Add/Remove Clock in every by shacking the iPhone. - Change the Coral Reefs with one finger scroll everywhere on the screen. 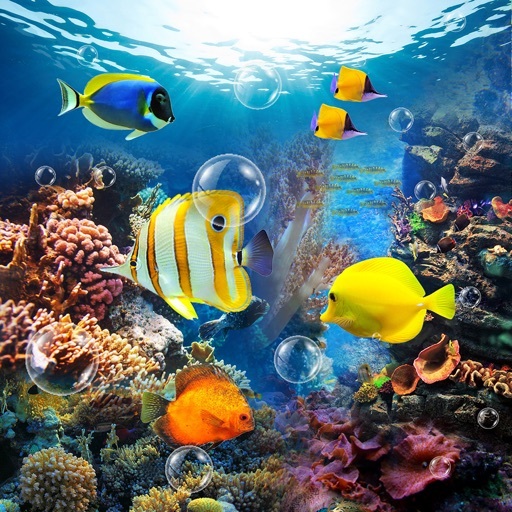 - 3 amazing different tropical Marine Coral Reef backgrounds. - A lot of funny colorful swimming fishes. - The clock will be active on your screen until you close it. - Switch between 24 or 12 hours format. The Amazing Aquarium Clock has been developed thinking to be used when the iphone or ipod touch is in the cradle on your desk. 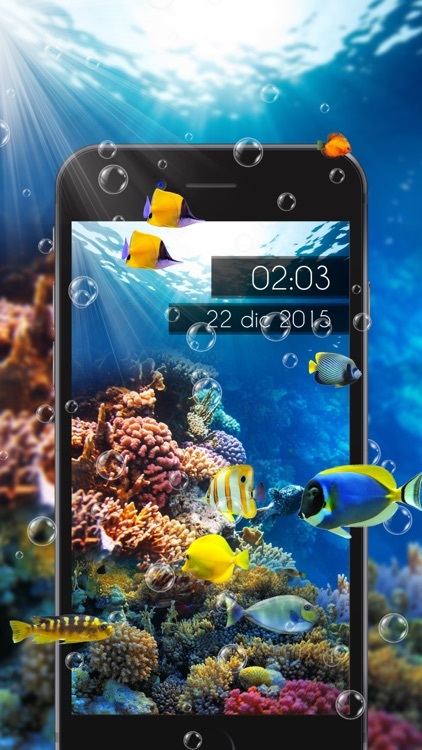 During a working day you can run the app and take a relaxing brake to see one of the tropical beaches under the clock. 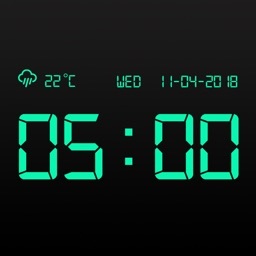 You can also use your iphone istead of a static and boring traditional clock and have the current date and hour of the day always in front of you. 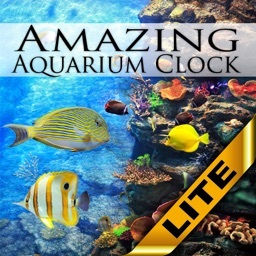 Amazing Aquarium Clock is an awesome and funny Clock with full quality background and animation! - BUSINESS CARD CREATOR: Cheack the World's Powerful tool to create Professional Business Cards in minutes. - ABSOLUTE VINTAGE: Create funny Vintage portrait and add original digitally scanned frames to your photos!